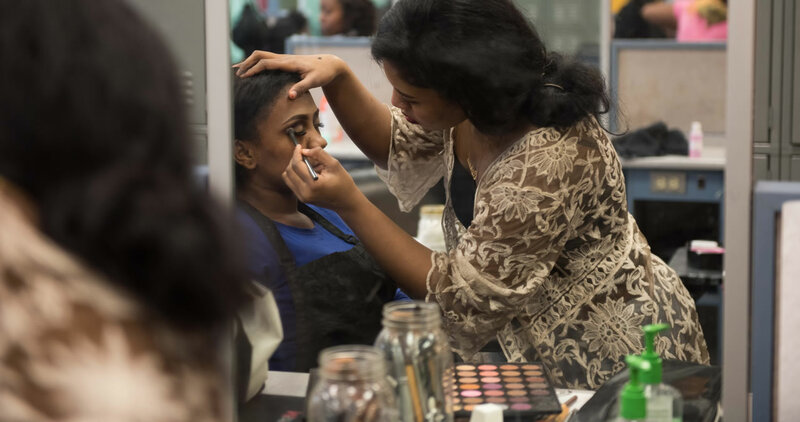 The Cosmetology program prepares students in all phases of Cosmetology. The program consists of 1600 hours training in theoretical foundations, manipulative skills, business knowledge, professional and ethical practices and prepares students to take the California State Board of Cosmetology examination for licensure. First-time students are required to attend an orientation meeting. 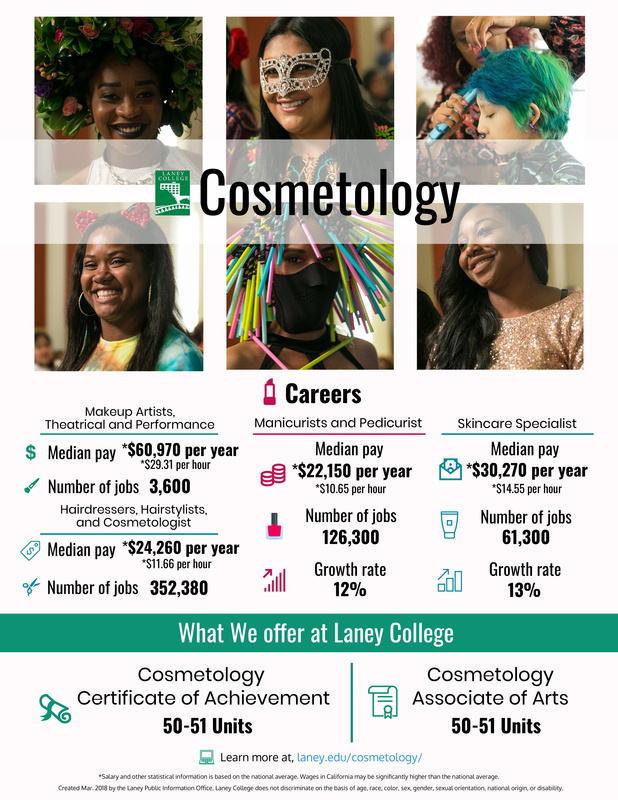 Contact the Cosmetology Department at (510) 464-3285 for supplementary application information and forms. A grade of ”C” or above is required in each prerequisite course to continue in the sequence of course offerings. Transfer students may be accepted when space is available, providing they have not achieved more than 200 certified hours and apply within a one-year period of withdrawal from a previous school. 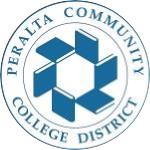 Upon completion of the 1600-hour program, students are eligible for the Cosmetology certificate and are qualified to apply for licensing through California State Board of Cosmetology. The daytime program consists of seven (7) classes over three (3) semesters totaling seventeen (17) units per semester (PLUS 1 complete session of Saturday Class or Summer Session is required to complete state board hours). M-F, hours are from 8:00am to 3:30pm with an hour lunch from 12-1pm. The evening program consists of seven classes (7) over three (4) semesters totaling fifteen (15) units during each of the first three semesters and five (5) units during the fourth semester (PLUS 2 complete sessions of: Saturday Class or Summer Session are required to complete state board hours). Hours are from 5:00pm to 10:00pm. The Cosmetology Program consists of seven required courses – it is a program – and for that reason, courses cannot be taken individually. For information on kit and textbook prices call 510-464-3515 or visit the Laney College Bookstore.